The Social Services and Wellbeing (Wales) Act 2014 places a duty on Local Authorities and Local Health Boards to produce an Area Plan. 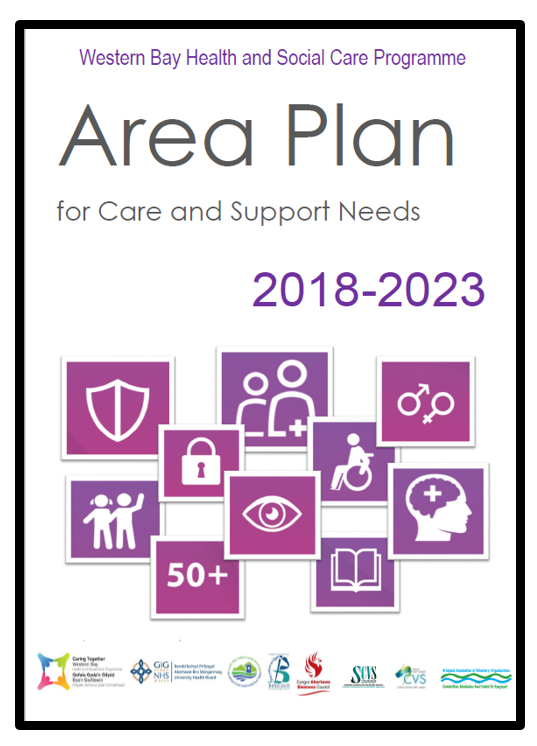 The Plan considers people’s care and support needs, based on the findings of the 2016/17 Population Assessment exercise, and outlines the actions required to address these needs. The Area Plan covers the period 2018-23, and an Action Plan has been produced as a one year ‘transition plan’, which goes hand in hand with the Area Plan and outlines how the priorities will be delivered. The Area Plan includes high level regional priorities to address health and social care needs. An Executive Summary has also been produced, along with an ‘Easy Read’ format for the period 2018-2023.